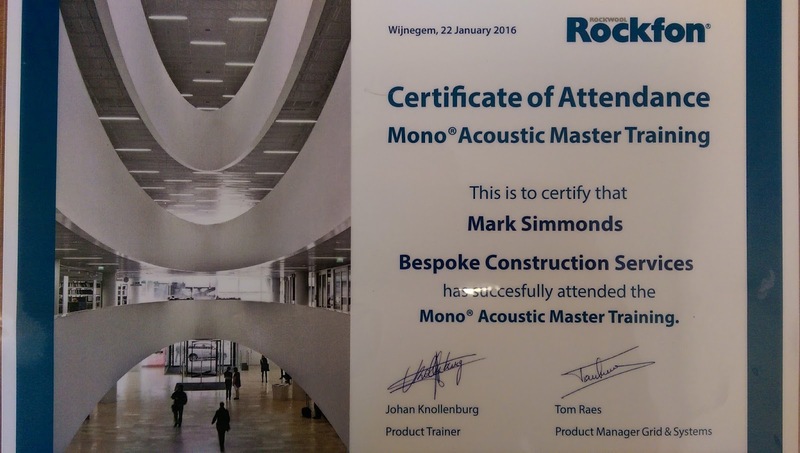 We are pleased to announce that our Project Manager, Mark Simmonds is now trained and qualified in the installation of Rockfon Mono Acoustic ceiling systems. 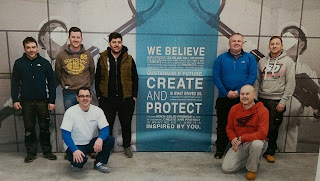 Mark and two members of our select subcontractor team, Paul Phasey and Mick Whild, attended a week's course in the Belgian city of Antwerp. 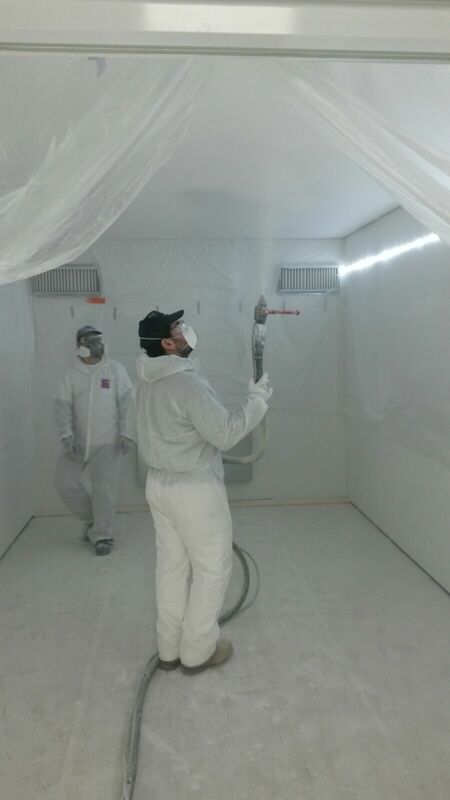 The trio passed with flying colours, being awarded the best installation of the course! 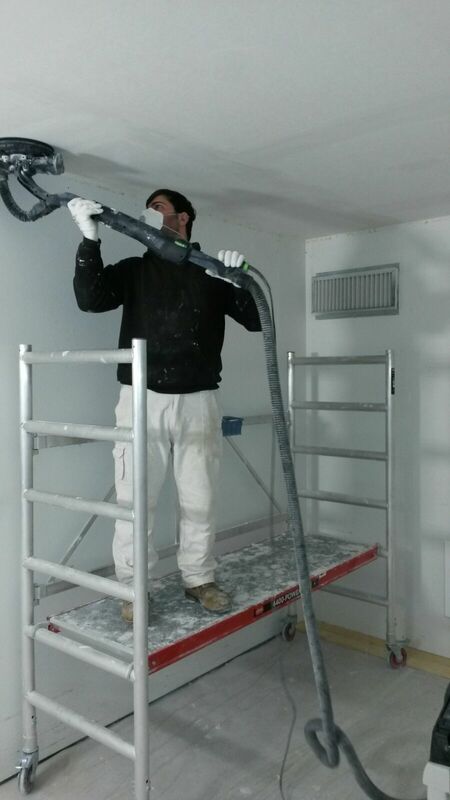 They will now apply their new skill set to fit-out project at Leigh Road, Slough ,with the unique installation process of the ceiling system starting in April 2016. Rockfon Mono Acoustic is an innovative, seamless and aesthetically pleasing system that absorbs sound, reduces echoes and significantly decreases reverberation, as well providing design flexibility. Once the project is fully completed, this 117,400 sq ft distribution centre will be occupied by wholesale food supplier, Bidvest 3663. Congratulations all, another string to the Bespoke bow!